Fwd: Sierra from today, Mile Orcutt and one his his fine sierra caught on March 10th... Lots of sierra around, so lots of fun to be had. Some more pcitures of John And Leeslie's day. 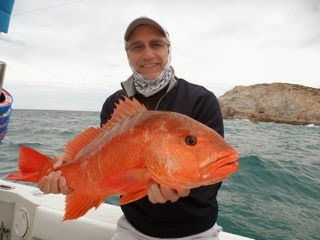 Is that colorado snapper a beautiful fish... looks like the fish are biting, Its wonderful weather and good fishing. Where are you right now! 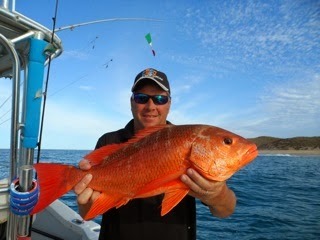 Inshore and offshore on the same day. Marlin and snappers OH MY! 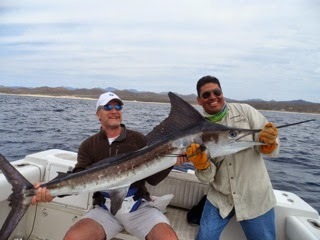 Colorado native Jeff Burnham and his buddy Bob Daily had a great day yesterday ( March 7th). They went inshore for a while and got some sweet colorado and cubera snappers and then offshore and caught a striped marlin. Thats on the same day.. 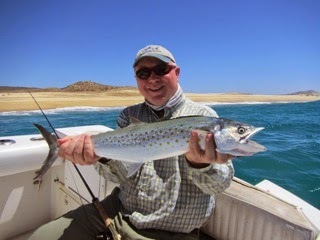 I love Cabo! 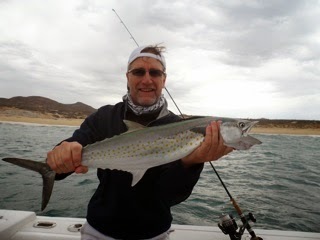 Cabo is one of the only places on this planet where you can go offshore 1/2 a mile from the beach and catch pelagic and then inshore and catch roosterfish, snappers and other fun fish. 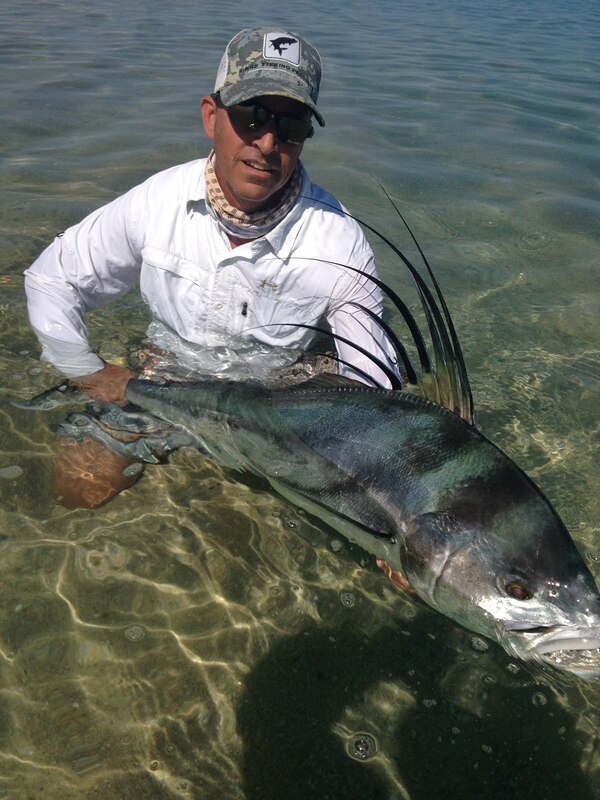 David and his boys Wood and Frederick wanted roosterfish on the second morning of trip. 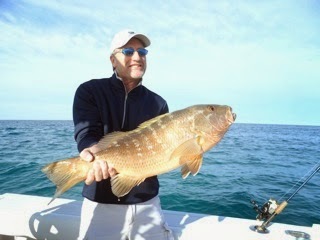 David Boudreau takes his boys Wood and Fredrick inshore fishing with us... What a day. 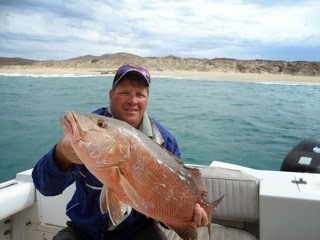 Sierras, jacks, snappers and a huge yellowtail. Now this is important, everyone did his own fishing, no one set for the kids or helped them fight the fish...Way to go guys..
Great time with Arturo and and his brother in law today. Arturo is a great teacher! Will definitely ask for him again. Thank you!! I'm not a good fly guy. But wanna be.